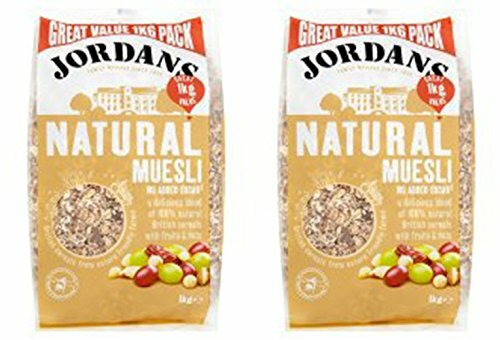 (2 Pack) - Jordans - Natural Muesli | 1000g | 2 PACK BUNDLE | SleepyChef.com | everything breakfast! Jordans-Organic Muesli (1000g)Jordans Normal Muesli - a fuss-free muesli. Simplicity is at its best when this organic recipe begins with a mix of British wholegrain oats (our favourite wholegrain), wheat flakes and barley, for a all-natural creamy taste and texture. The Brazil nut slices (and now almond slices) and complete hazelnuts add a satisfying crunch, while the sultanas, raisins and dates give a mildly fruity finish. All this and no extra salt or sugar: splendid. 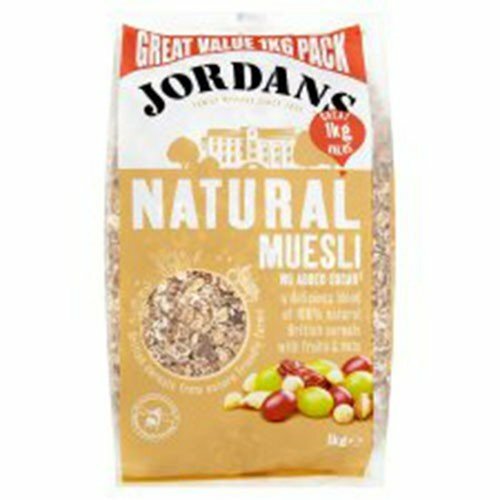 Great Deals & Offers On Jordans - Natural Muesli - 1000g . FREE Delivery On ALL Items.